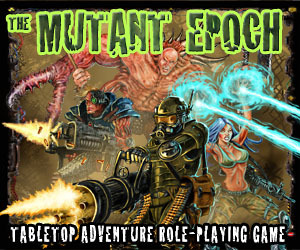 I’ve played a lot of ACKS (Adventurer Conqueror King) in the past year or two and have grown to approve of its approach to weapons and combat styles – which I now intend to integrate into Tempora Mutantur. I don’t want to go back to edit and repaginate all my one-page rules, so I’m posting these “House Rules” for my TM Roll20 Campaign. 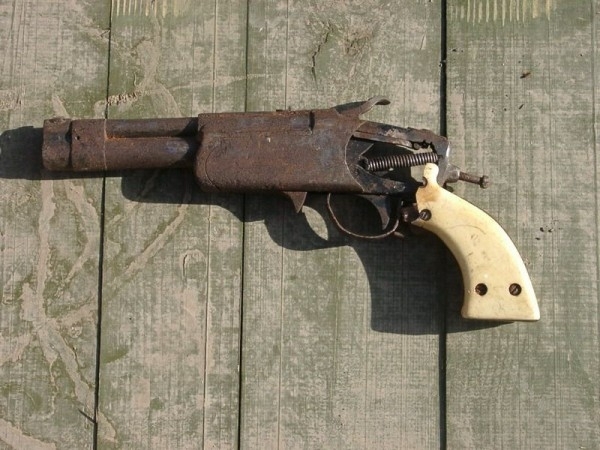 Improvised, concealable, out of ammo on 1 or 2. Improvised, out of ammo on 1 or 2. Improvised weapons suffer a -2 penalty to Atk rolls (-1 for enforcers). The careful control of parts for advanced energy weapons led to a renaissance of the gunsmith’s arts during the last years before the Fall. 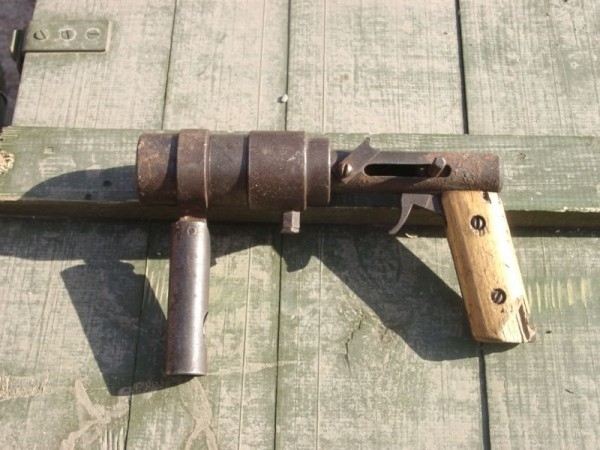 Some modern enclaves retain enough expertise to fashion basic firearms, provided they have sufficient supplies of scrap for their construction. The availability of Advanced Firearms, however, is quite limited. This is an addendum to the (recently updated) Expanded Weapon Rules post. I haven’t finalized the value of these items yet, but am posting today anyways. Hybrid weapons are expertly-built items using Advanced or Ancient technology. Essentially, they are archaic weapons constructed using high-tech methods or materials. Although they require technological expertise to create, they are relatively easy for low-tech characters to wield. UPDATE 09-Jun-13: I’ve revised these rules and they’re no longer consistent with Dwarven Glory, but fit better with my vision for this game and match the Core Rules again. Tempora Mutantur uses broad definitions for weapons. A wrench can be swung like a club. Every long piercing weapon is a spear. The cosmetic traits of your character’s possessions are for you to decide. This is an opportunity for creativity; don’t strap statistics to your back when you can make a ‘sword’ out of a hockey stick and a serrated metal blade. In game terms, weapons are divided melee and ranged types. They are further split into three categories: light, medium, and heavy. The tables below provide a selection of sample weapons as examples. 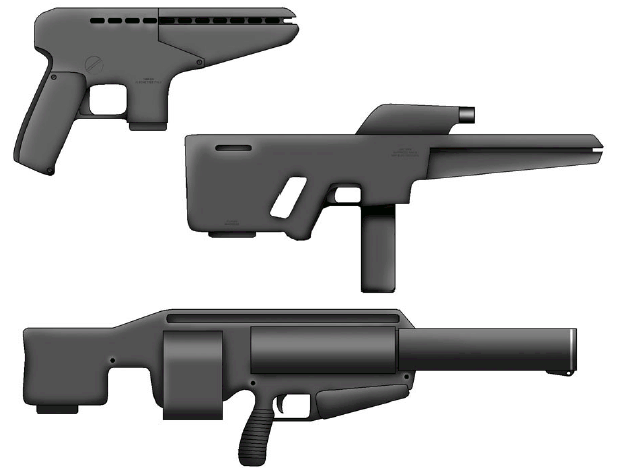 Note that some basic types of firearms can be manufactured by Retro-Tech communities (and are often available from the Tau storeroom). More advanced weapons are generally unavailable for trade and must be scavenged from the wasteland ruins. Mass-driving weapons are advanced firearms that operate on a simple principle – an electro-magnetic force is used to drive a mass to dangerously high velocities to punch through armour, metal, tissue, whatever. Such weapons are a bridge between traditional ballistic weapons and energy weapons – they fire ballistic missiles but require an energy charge or field to build up the required force. Mass-drivers are almost universally known as “gauss weapons”. 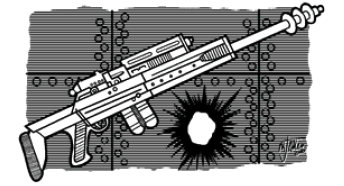 Gauss weapons use specially-alloyed flechette projectiles as well as power from an e-clip source when fired. Gauss weapons can fire improvised ammunition (any small, magnetic metal fragments), but will only inflict half damage. Special armour-penetrating depleted uranium (DU) rounds are also available. Well-known in science fiction long before they actually became viable weapons, energy weapons were a natural evolution of the advanced military science of the Ancients. Weapons of this type, widely used before the Fall, act to generate and concentrate powerful energy to incinerate, disintegrate, or otherwise destroy opponents. Energy weapons solved the problem of varying calibers and munitions types by utilizing the universal e-clip, making them infinitely more useful in those days. Laser weapons work by colliding lasing atoms with electrically accelerated electrons within an active medium. The maser is basically a “microwave laser”, and was cheaper and easier to produce. Ion weapons generate a powerful electro-magnetic pulse which is incredibly damaging to robots.